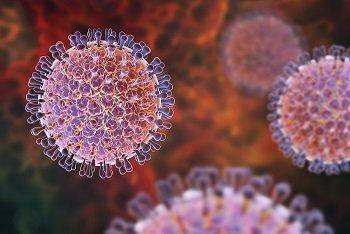 Australian health officials are reminding people to practice good personal hygiene after a spike in reported cases of the gastrointestinal bug, rotavirus, in New South Wales. 1300 cases of the highly-infectious rotavirus have been recorded in the state this year alone, representing a 5-year high. Health officials are currently investigating the reasons behind the dramatic increase. Dr Vicky Sheppeard, Director of Communicable Diseases at NSW Health told the ABC that the virus, which causes vomiting and diarrhoea, may have mutated making it more difficult for the immune systems of immunised people to recognise. “So we have sent off samples to the reference laboratories to see if there is a change in the coding of the virus that is also making people less immune to it,” Dr Sheppeard told the ABC earlier this week. The highly-infectious rotavirus is one of the most common causes of gastroenteritis (diarrhoea and vomiting). In underdeveloped countries, rotavirus kills thousands of people every year, however in Australia where immunisation rates and healthcare standards are high it rarely leads to deaths. Symptoms such as vomiting, diarrhoea, stomach pains and fever can last up to a week with the sufferer remaining infectious for up to two weeks. The best cure is always prevention and through the Australian government’s vaccination schedule all babies receive rotavirus vaccinations at 2 and 4 months. The vaccination is no guarantee that the child will not still contract rotavirus, however the symptoms and severity will be lessened if they do. Health officials also recommend common sense hygiene practices such as regular hand washing, thorough washing (and drying) of toys, food and other objects, and avoiding wherever possible, people displaying rotavirus-like symptoms. Rotavirus can lead to severe dehydration and so it’s recommended sufferers drink plenty of water to keep up hydration levels. In serious cases children may be admitted to hospital to be hydrated intravenously. Your doctor may also prescribe a course of medication aimed at reducing vomiting and diarrhoea and therefore preventing further fluid loss. These kinds of medications should only be taken if advised by your doctor. Some medications for rotavirus are only available in tablet form, which can’t be administered to young babies. A compounding chemist such as National Custom Compounding can make up the medication in liquid form which a baby can easily swallow. We can even make up the medicine in flavours such as chocolate, butterscotch or bubblegum to make the process that much easier. Contact National Custom Compounding today and ask about child-friendly medication for rotavirus.